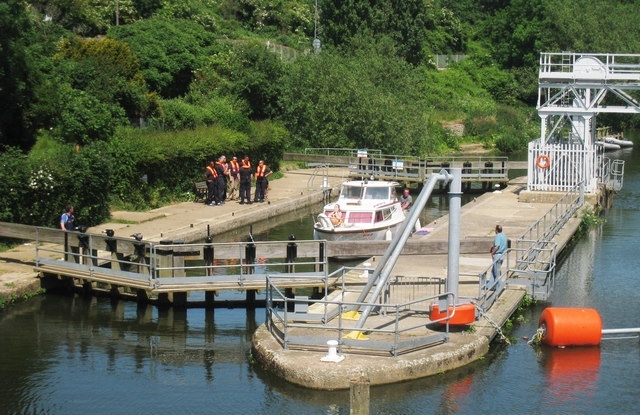 Working on behalf of the Environment Agency, Team Van Oord is about to begin a programme of major refurbishment works at East Farleigh Lock on the River Medway. East Farleigh village is located on the south side of the River Medway about two miles upstream of Maidstone. The works involve damming-off the old lock and draining it down for the duration of the contract which will run throughout the autumn and winter and is scheduled for completion in Easter 2017. The lock will be closed to vessels on Monday 26 September but a portage route for canoeists will remain open throughout the works which are essential to ensure this important stretch of the Medway can continue to be used by commercial and private boats. Picture: ©Copyright Oast House Archive and licensed for reuse under this Creative Commons Licence.